Recently renovated and re-roofed end of terrace stone fronted house conveniently situated for local amenities around 1 mile from Swanage centre. 3 bedrooms (1 en-suite wet-room/W.C. 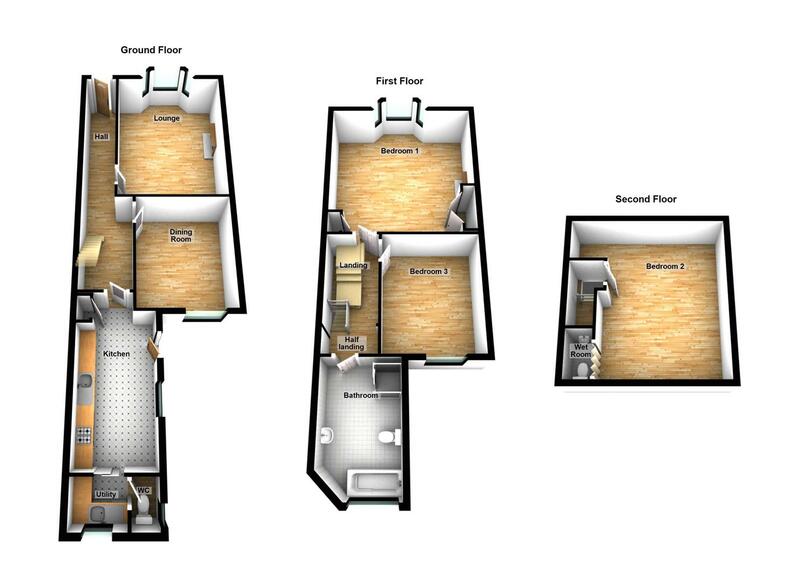 ), 2 reception rooms, kitchen/breakfast room, utility room, W.C., bath/shower room/W.C., gas central heating, double glazing, gardens, some hill views. In the Herston area of Swanage convenient for access to open country walks and local amenities which include local schools and a small supermarket/sub Post Office, around one mile west of the main town centre and seafront. An end of terrace Victorian house of stone and rendered elevations under a recently renewed slate roof. The current owners have extensively renovated the property and converted the loft space to provide a double bedroom with en-suite wet-room/W.C. UPVC double glazed front door, stripped wood floor, radiator, high level cupboard housing electric meter and fuse box, under stairs storage cupboard. Stripped wood floor, 2 radiators, shelving, wall light points, fireplace with wooden surround and mantle. Stripped wood floor, radiator, cupboards to alcove. Low level w.c., Glow-worm gas boiler, obscure UPVC double glazed window. Stripped wood floor, under stairs storage cupboard. 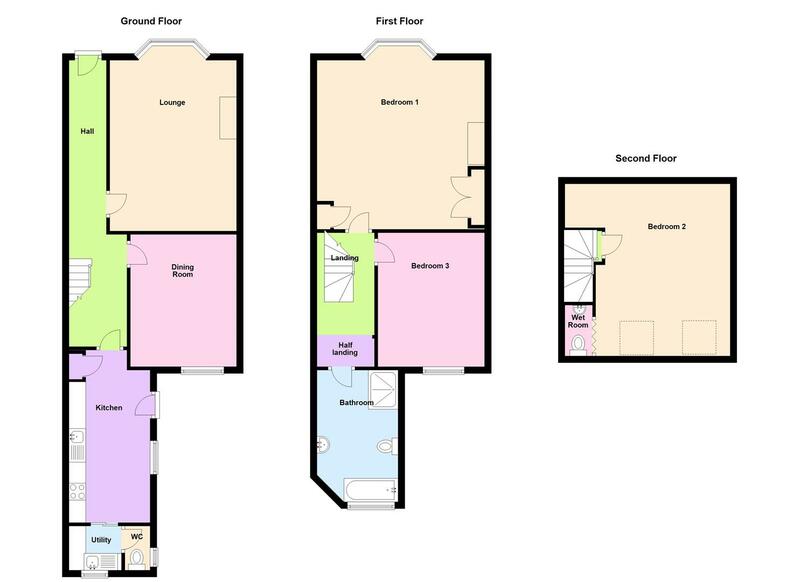 Obscure UPVC double glazed window, large walk-in shower with mains shower unit and fully tiled surround, low level w.c., panelled bath with mixer tap/shower attachment, vanity wash basin with mixer tap, cupboard under, radiator, wall light, access to loft space. Stripped wood floor, radiator, shelving to alcove. Radiator, corner cupboard, stripped wood floor, oblique view to the hills. Sloping ceiling with Velux window, fully tiled walls and floor, wash basin, low level w.c., mains shower unit. Small walled front garden with shrub bed, stone paved path to the front door. The rear garden comprises a stone paved patio area with steps down to a lawn, shrub borders, hardstanding for a greenhouse, further seating area at the bottom of the garden. Band D: £2083.90 payable for 2019/20 (excluding discounts).